Magnesium is one of the most difficult minerals to absorb through the digestive tract, and yet it is one of the most important minerals in the body. Magnesium deficiency has been linked with many chronic illnesses. In some cases, as with many sufferers of Chronic Fatigue Syndrome, supplementation does not result in increased blood serum levels of magnesium, let alone improved intracellular levels. In the last magnesium blog post, a tutorial was presented documenting how to use magnesium bicarbonate as a water additive to improve magnesium levels in the body. In this article, I’ll document how to use food grade magnesium chloride– often misnamed “magnesium oil”– to greatly improve magnesium absorption into the body. There are hundreds of articles on the net about taking a highly concentrated magnesium oil (which used to sell for a small fortune before some of us started publishing how to make it yourself at home) and rubbing on the skin in order to help eliminate aches and pains as well as transdermally deliver magnesium chloride into the body. They apply “magnesium oil” on the skin, and in a few short minutes it starts to burn. The skin breaks out in a rash, or becomes very dry and irritated. Individuals very quickly abandon the therapy, even though those who react the worst are the ones who need it the most! In the past, what I’ve always suggested is that these individuals take 2-3 baths per week with food grade magnesium chloride and sea salt. 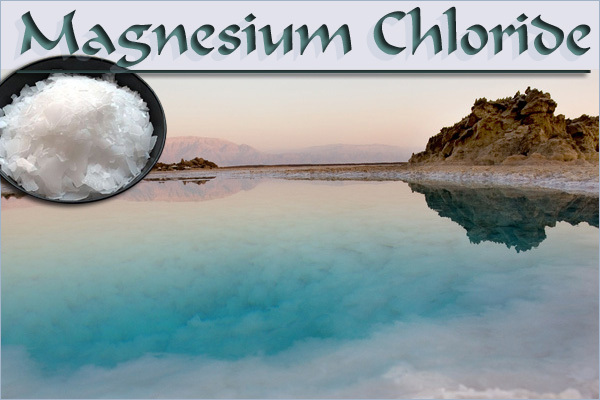 When in-bath, this reaction seldom occurs, and doing this allows individuals to take advantage of magnesium chloride therapy without annoying side effects. While this is effective, and I still recommend it, magnesium therapy that is done daily is much better. In this tutorial, I’ll demonstrate how to use magnesium chloride transdermally without any of the associated side effects. A “squeeze bottle” with a dropper-lid (picture above). While a squeeze bottle works very well, any container can be used, and the solution can be transferred to a dropper bottle for accurate dosing as needed. 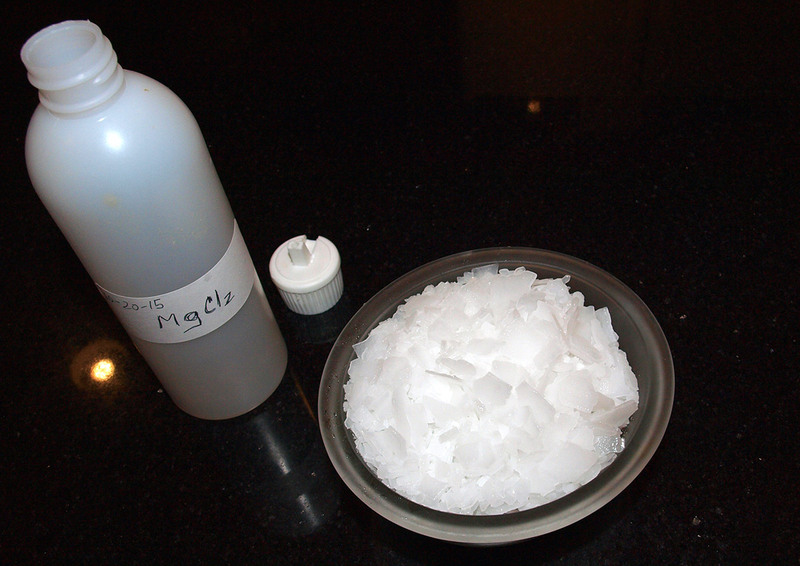 Making the magnesium chloride solution is very easy. Since we are not trying to make the most highly concentrated magnesium possible (there is no point in doing so), simply fill the bottle up with magnesium chloride flakes. Then, fill the bottle up with once again, this time with purified water or the silver solution. Shake the bottle well. In short order, the magnesium chloride flakes will dissolve completely. This is the “base” concentrated magnesium chloride solution. Next, add five drops of the magnesium chloride solution to the four ounce spray/spritzer bottle. Fill the bottle up with purified water. Add a drop of your favorite floral essential oil if desired. Each time you refill the spritzer bottle, increase the amount of magnesium chloride you are using by five drops. Keep doing this until using the magnesium chloride solution becomes irritating to the skin. Then, drop back down by five drops, back to a concentration that was non-irritating. Once to twice daily, spray the body with the magnesium. Rather than “spot treating” one problem area, apply the spray as widely as possible. Avoid any over-reactive areas if necessary. Once the maximum tolerance is reached, back down to comfortable concentration; one that makes the skin vibrant rather than dry. Then, every month or two, up the dosage again to maximum tolerance. The original base concentrate, of course, may still be used to treat muscle aches and pains as needed. If severe magnesium deficiency is present (or suspected), consider still taking a magnesium and sea mineral bath for 20 to 30 minutes once weekly… with clay if possible! I recommend always using food grade magnesium chloride flakes, as this contains the highest percentage of pure magnesium chloride possible: Magnesium Chloride Flakes. What about all of those other fancy products on the market? …mostly all marketing hype. Of course, any sea mineral rich with magnesium chloride can be used, but most…if not all… of the products marketed as natural magnesium chloride are simply inland sea salts, if they are not labelled as food grade magnesium chloride. There is nothing wrong with them, but they usually contain only 30-40% magnesium chloride, while food grade magnesium chloride is over 99.5% pure magnesium chloride. Learn how to use food grade magnesium chloride flakes topically. Inspired by your article, I experimented with my magnesium chloride concentrate, which I wasn’t using because I don’t like the slick, almost slimey feel on my skin, that also burns at times. For the sake of exploration, I mixed my MgCl2 solution half and half with my favorite skin lotion, and Voila! I had a lovely lotion that glides on, absorbs into the skin well, smells divine, and nourishes my legs with magnesium! This is something that I will now use nightly, so that I don’t get leg cramps at 4 AM. Wonderful! Thanks so much for sharing your innovative process of mind, Jason. It really helped me.